On paper, the Monster Energy/Pro Circuit Kawasaki squad should have ruled some roost in 2018, as the existing 250 lineup of Joey Savatgy, Adam Cianciarulo, Martin Davalos, Austin Forkner, and Garrett Marchbanks (motocross only in 2018) represented some serious talent. However, a serious dark cloud seemed to hang over the team. Speed was there, but titles in Monster Energy Supercross didn’t materialize. Things also got way out of hand outdoors, with Cianciarulo, Davalos, and Marchbanks out with injuries and Forkner and Savatgy having multiple wins ripped from them in devastating fashion. Luckily, Eli Tomac was there to anchor Kawasaki’s 450 effort, and while he came up short of the Monster Energy Supercross Championship, he won the Lucas Oil Pro Motocross Championship for the second straight year. Tomac has also won 50 percent of the 450 SX/MX races held over the last two years. Eli has a multi-year deal, so he’ll be back to battle for titles again on the new 2019 KX450. He’ll debut the 2019 at the Motocross of Nations next weekend, then race the Monster Energy Cup the following weekend. As for the 250 team, a rough season wasn’t for lack of effort or ability, so Kawasaki is bringing the group back for 2019. Today’s team announcement confirmed what Kawasaki already leaked on social media a few weeks back—Savatgy is moving to the Monster Kawasaki 450 squad alongside Tomac. The Pro Circuit 250 squad will keep Forkner, Cianciarulo, Davalos, and Marchbanks. The only missing name from 2018 is Josh Grant, with the veteran 450 pilot having lost his spot to Savatgy. "We are well into preparations for the 2019 season," Monster Energy Kawasaki race team senior manager Dan Fahie said in the team release. "We have a strong team and a unique opportunity where our riders are really looking forward to riding the all-new KX450 motorcycle. The entire team is prepared and excited for the new season and the success that lies ahead." Savatgy’s promotion makes room for Marchbanks to embark on his first full pro season, as he started as a professional at the Lucas Oil Pro Motocross opener at Hangtown in 2018. This will mark Marchbanks’ first shot at supercross. Cianciarulo will return from the ACL surgery that cost him the full outdoor season, and Forkner looks to build on some improvements—he won his first supercross races in 2018. As for Davalos, well, you know the story there. He’s fast enough to win it all; he just has to avoid the bad luck. The 2018 season might have been the most Marty ever—he was blazing fast in practice and his heat race at the first 250SX East Region race of the season, but a massive first-turn crash in the main event that night left him hurting and derailed his year. He showed enough potential to get the invite to return in 2019. 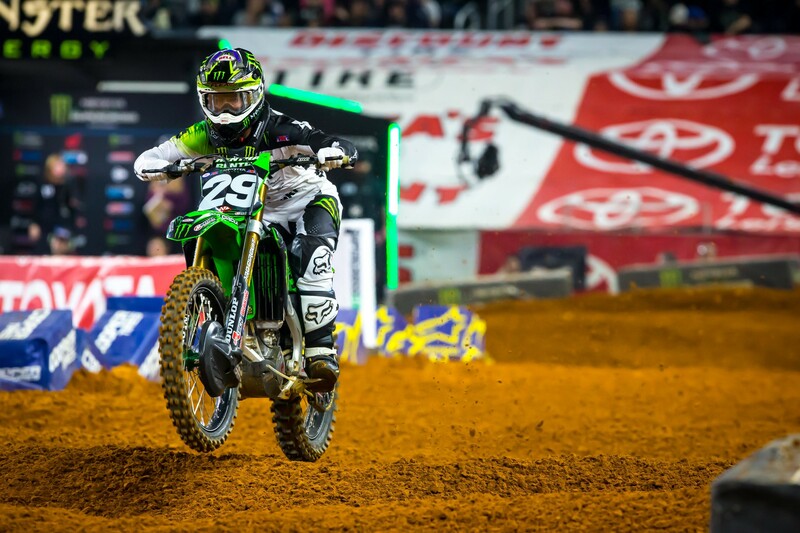 Davalos’ season really underscored the luckless campaign for Mitch Payton’s team in 2018. Can they right the ship and put another number-one plate on Mitch’s door?